﻿ Hair extension in Berlin's hairdresser studio "Beautylounge"
A long, massy and magnificent head of hair is the wish of every woman! Wouldn’t it be nice to glide eventual through long and beautiful hair and feel satisfied? We say: Yes! Whether hair extensions or hair thickening. We work with best real human hair, especially chosen and fitted to your hair color and structure. To get the best result we recommend to apply between 100 and 200 extensions. As well by the hair extension process, as by the hair thickening there will be a barely visible difference. Logically, extensions need a carefully dealing, so we always point out to use good products of high quality. Well, for a long lasting result we suggest products made by “Glynt”. 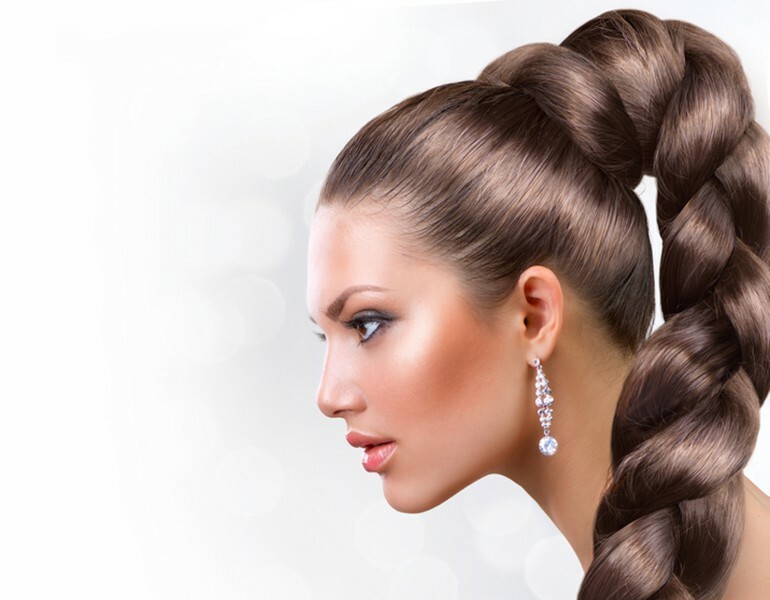 So, if you are desirous to let apply extensions, so now it’ s the right moment for that!